The 2014 year marks the 100th anniversary of Yakov Zeldovich. The conference will commemorate his contribution to astronomy by concentrating on recent progress in cosmology and high energy astrophysics, the areas where his ideas laid the basis for revolutionary advances. The conference program will include key issues of the theory of large scale structure formation, results of barionic acoustic oscillations observations, spectral distortions, angular fluctuations and polarization of the CMB, reionization and sources of CMB foregrounds, theory of disk accretion onto black holes and neutron stars, and theoretical and observational X-ray astronomy -- topics which were among the main interests of Yakov Zeldovich during the last 25 years of his life. We plan to organize a special section to discuss the physics of clusters of galaxies and their observations in microwave, optical, infra-red and X-ray spectral bands. There will be a broad discussion of plans for the Spectrum-RG/eROSITA and ART-XC X-ray sky survey ( up to 150 thousands of clusters of galaxies and 3 Million AGN) and its synergy with SPT, ACT, Carma, gravitational lensing data and with observations of QSOs and AGN in other spectral bands and their use for cosmology. We expect of the order of 200 participants. However, the hall accommodates up to 250-270 people. We plan to have broad poster sessions and devote at least a day for parallel sessions. • Ildar Khabibullin • Georgy Khorunzhev • Roman Krivonos • Dmitry Karasev • Natalia Lyskova • Pavel Medvedev • Ilya Mereminsky • Alex Mescheryakov • Andrey Semena. Among the members of the local organizing committee are Yuri Balega, Anatol Cherepashchuk, Eugene Churazov, Marat Gilfanov, Sergei Grebenev, Mikhail Pavlinsky, Konstantin Postnov, Mikhail Revnivtsev, Sergey Sazonov, Nikolai Shakura, Alexey Starobinskiy, Rashid Sunyaev, Dmitriy Varshalovich, Alexey Vikhlinin, and Lev Zelenyi. Especial acknowledgment to A. Zakharov (IKI designer). We will be very glad to greet you in Moscow. June is usually a very pleasant time in Moscow, warm but not hot, everything is green and rain is rare. Moscow has a lot of well known theaters, museums and attractions, it is a big and active metropolis. There is plenty to do for travel companions. We will try to arrange rooms in not extremely expensive hotels and give the best possible advice in connection with the visa problem. 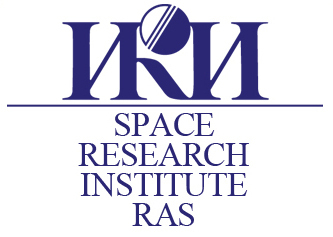 The conference will be held at the Space Research Institute (IKI) in Moscow, Russia, on June 16-20, 2014. The registration fee is 15,000 rubles. It has to be paid in cash during the conference. The fee includes the costs of the coffee/tee and refreshments during breaks, welcome cocktail and conference dinner. There is a fee of 5,000 rubles for accompanying persons, which covers the welcome cocktail and conference dinner.